The ‘dart zone’ here was launched in 2010, and it’s not unusual to see all six boards in use. 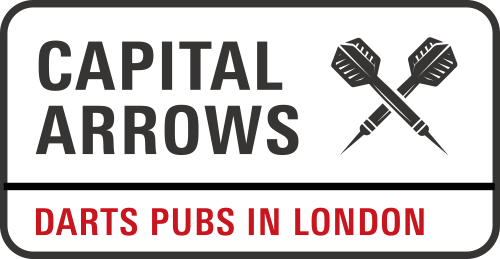 Rileys zones are of high quality, and this is clearly one of the best places in central London for a serious game of darts. It therefore lacks a little character compared to a traditional boozer, but that’s just a minor grumble. I been a few times throughout the last year and as of Oct 2016, they still have 6 or 7 boards with winmau scoring machines all ready and free to go. 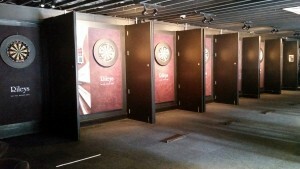 Downstairs in the pool and snooker are they now also have 2 awesome darts live soft tip machines. I went here yesterday (15/06/2018) and paid £9.95 to hire a lane to play darts. Once paid you can have the lane all day. You also have to be a member or go in with someone who is a member. They had the world cup on all the TV’s and it was £1.75 for a glass of cola.